Gain insight, tips, and ideas on how to engage and encourage your students to share the gospel on social media! Social media is one of the most effective evangelism tools your students have in their back pockets (literally)! 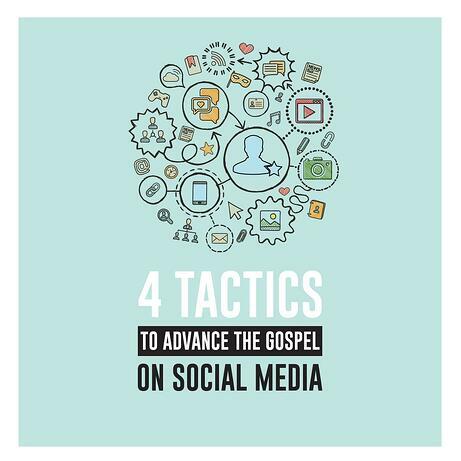 In 4 Tactics to Advance the Gospel on Social Media, you’ll gain practical ideas that you, your leadership team, and your students can use to reach more teenagers with the gospel. Helpful tips to make social media an effective ministry tool as a youth leader. Posting ideas and examples your students can use on their own social media. Thought-provoking, ready-to-post media links to help start gospel conversations. Download your free eBook today and start equipping your students and leaders to advance the gospel on social media!